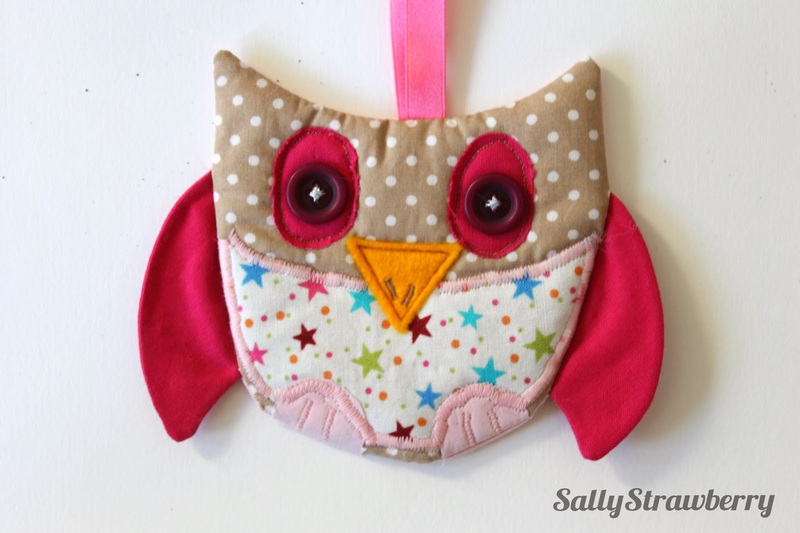 Introducing my latest sewing project........Owly! I made this for my cousin's Birthday using fabric left over from the cupcake cushion. What do you think? 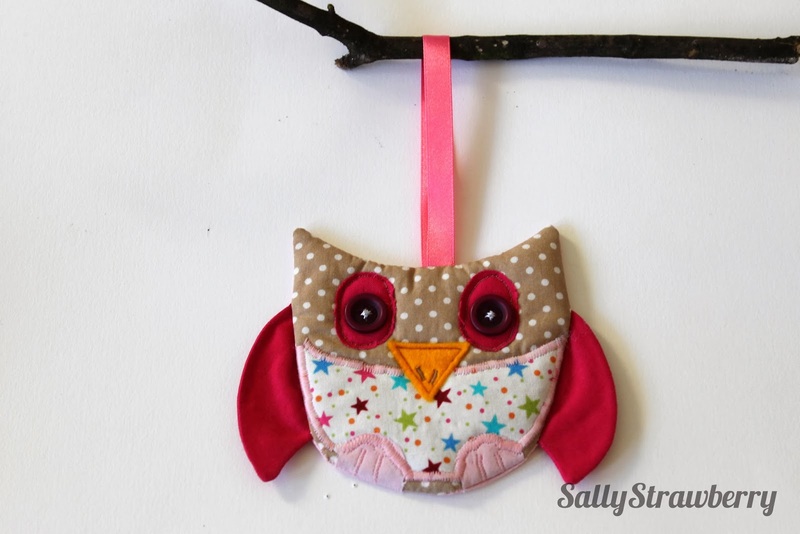 I loved making this although making and cutting out the patterns was very fiddly as its quite small and I kept on loosing bits! PS following along now too...your blog is so cute! I love him! Did you make up your own pattern? He is really cute! 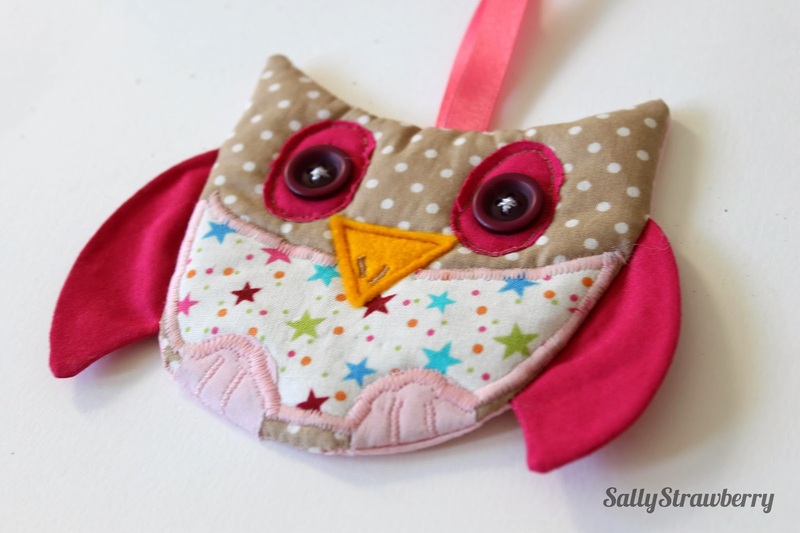 Thanks Natalie, yes, I did make up the pattern myself although the pieces were so small I kept on loosing them! Hehe, thanks! Yes, it was a bit fiddly! I'm not sure if I made another one it would come out anything like this one! Thank you! Yes, you may recognise the fabric from my cupcake cushion! She is very cute. Lots of owls around at the moment. I like the fact that she's flat so will hang flush. Must have taken ages. He is very cute, I'm sure he will be well loved.